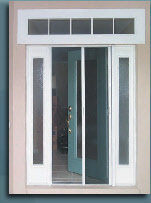 Dreamscreens, Inc is a U.S. manufacturer of retractable screen doors located in Sarasota Florida. The company was founded in 1998. 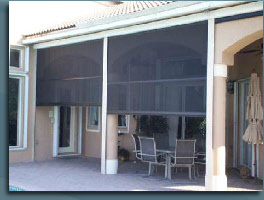 Prior to founding Dreamscreens, the founders owned and operated a very large screening and window repair business in Sarasota, which for many years had installed different competitors’ models of retractable screen doors. The available doors were all very difficult to install and most were either prohibitively expensive or poorly built. The original patent for the retractable screen dates back to 1914 but the idea never caught on in North America until the 1990s. The idea was good, but the existing products were not optimal. A better retractable screen door was required. Our suggestions for product improvement fell on deaf ears, perhaps a victim of the "not invented here" syndrome, so we decided to do the work ourselves. We initially began manufacturing our newly designed and patented product for sale to our local customers, and quickly confirmed that our product not only installed much easier, but held up to the harsh beach conditions much better than any other product. We soon found ourselves manufacturing retractable screen doors for other window and door service companies. We were in an ideal position: if given a chance to start from scratch, what would we have done differently? We then set about to doing exactly what we felt needed to be done, and fixed what we felt were the most critical deficiencies of available products. · First, our doors are truly a snap to put in. No mandatory training courses are required. In fact, we have been selling doors directly to home owners for years without returns. Other products may claim to be do it yourself doors, but they are much more difficult to install. The mounting screws can be removed and the four-sided frame of the Dreamscreen can be leaned against a wall and still operate. A double door has two cuts, four screws, 7 steps total. A single door has three additional screws along the jamb. That’s it! · Second, we needed to fix the three most common problems we found with our competitor's doors when we were installing them. 1. Magnet Misalignment. If only small magnets are used to hold the doors closed, it is probable that they will get knocked out of alignment, preventing the screen from staying closed. Dreamscreens uses a full length custom manufactured magnet, which is integrated into our patent-pending frame. The magnet also provides a full-length seal. 2. Fraying screens. The more use the other doors got, the more the top and bottom of the edges unraveled. We were frustrated when customers called complaining about the frayed screen, since it was a function of the design. The Dreamscreen solves this problem by welding a clear vinyl strip along the bottom edge. This clear weld acts as a hem (a screen is essentially a very loose weave fabric), and completely prevents fraying. This feature is exclusive to Dreamscreens. 3. Wind Blow Out. With virtually all designs, the top edge of the screen would blow out of the track in even moderate wind. Dreamscreens reduced this problem by developing a deeper, narrower top guide rail which keeps the screen in place, even in moderate winds. When compared to any similar product, the Dreamscreen is clearly the top of the line. Because of excellent process engineering, the cost of the Dreamscreen is extremely competitive, and usually far below existing and inferior products. In addition, we are very responsive to suggestions and comments from our dealers and customers; after all, we spent years "on the other side of the fence" installing similar products, and gained tremendous experience. Give the Dreamscreen a close look. We think it speaks for itself.